assisted oven, micro wave and a large fridge freezer. the dome can be seen from the living room. primarily known for his participation in the Ottoman siege of Malta. waterfront restaurants and bars all with a special Turkish flavour. from shopping to Turkish baths. the music from numerous bars and street side cafes. one end and a curving beach flows off in the opposite direction. that no landscaping alterations or new groundbreakings are allowed. visitor with some of the most spectacular scenery on the peninsula. atmosphere, industrious and relaxed, foreign and friendly. rewarding experience to be found on the peninsula. 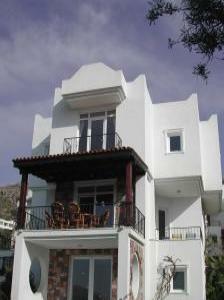 lengthy stay), Bodrum is a unique combination of ancient and modern. over a friendly glass of tea and a serious discussion about price. trousers "shalvar" or a copy of the latest casual evening wear. the muezzin, calling the faithful to prayer. cancellation charges in accordance with the details at paragraph 5.
cleaning, loss/non return of keys.